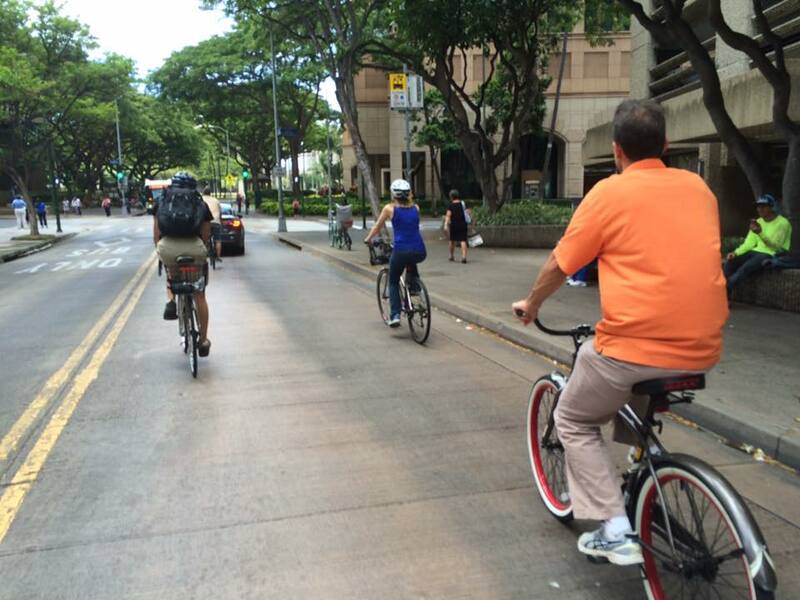 STCH organizes a variety of programs to reduce fossil fuel consumption in Hawaii's transportation sector. As Hawaii moves towards an increasingly renewable grid, electrification of transportation offers an opportunity to decrease fossil fuel use in the transportation sector. Our electric vehicle program focuses on legislative advocacy for policies that support electric vehicles and electric vehicle infrastructure, creation of electric vehicle partnerships and projects, and coordination of electric vehicle “ride-and-drive” events, the annual Electric Island Drive, and other electric vehicle education and outreach. This program provides recognition to participating businesses, organizations and government agencies who are making progress and/or achieving standards for use of clean/renewable fuels, conservation and fuel efficiency measures in their vehicle fleets and other energy applications associated with transportation operations. Applications are sent to a broad spectrum of entities soliciting their interest. Submitted complete applications have their transportation operations reviewed and those selected receive a certification level modeled after the US Green Building Council’s Leadership in Energy & Environmental Design (LEED) certification program. Transportation mode-share shows the percentage of travelers using particular types of transportation. By shifting our modes of transportation towards options such as public transportation, bicycling and walking we will reduce petroleum consumption, greenhouse gas emissions, and air pollution. Clean Cities' mission is to adopt measures that will reduce petroleum consumption in transportation.